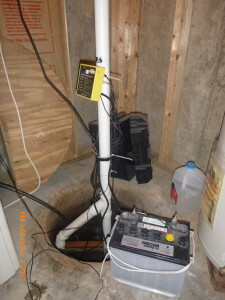 A tree went down on the electric line knocking out the power to the main sump sump and the battery on the backup sump pump failed during the night. By morning there was 6 inches of water in the basement. 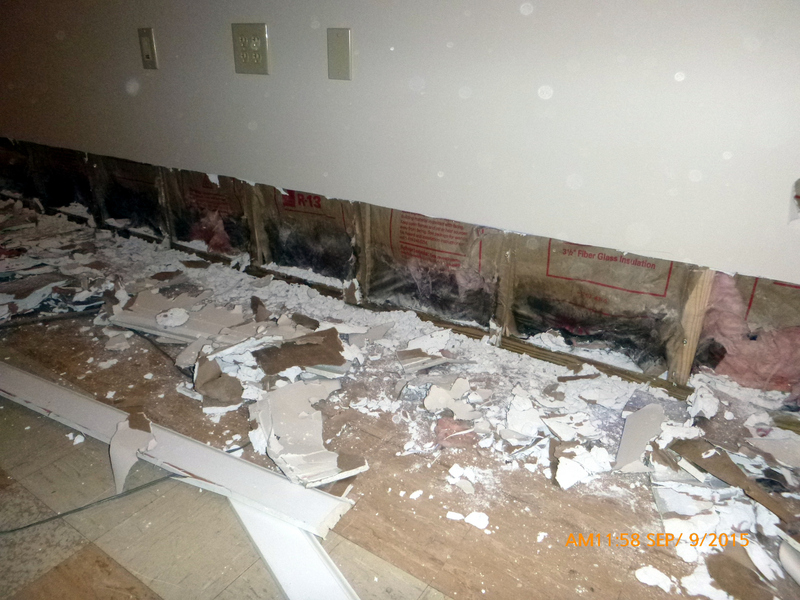 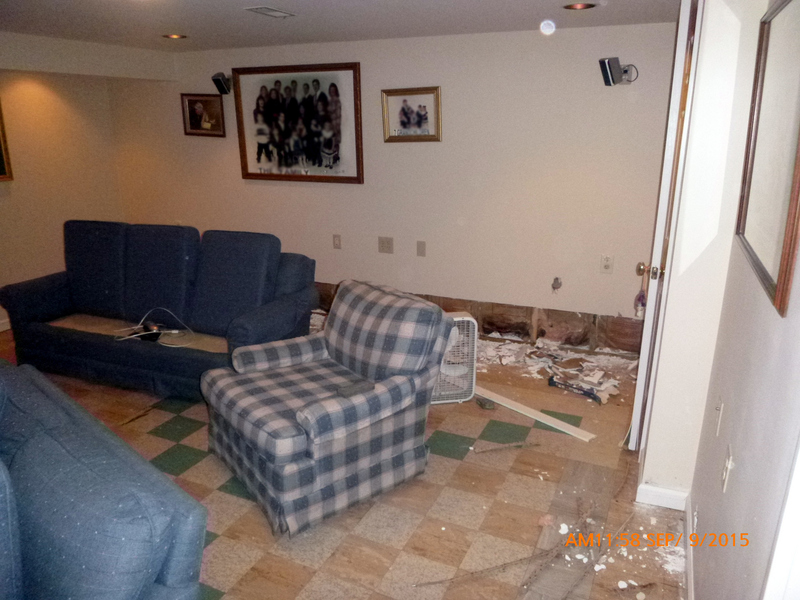 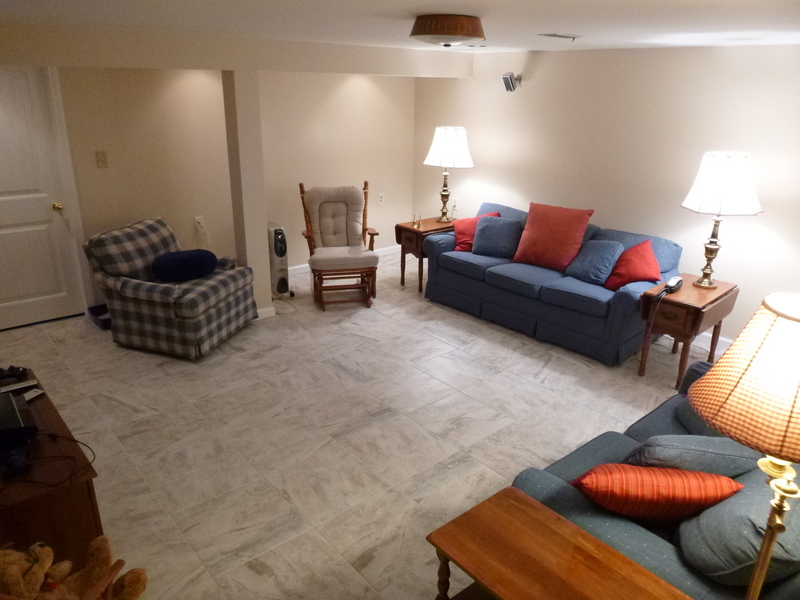 We removed the wet carpet, bottom 12″ of drywall, soggy insulation and began the repair. The ceramic floor tiles were installed on Schluter Systems Ditra. The old battery powered backup pump was replaced with a water powered backup pump. 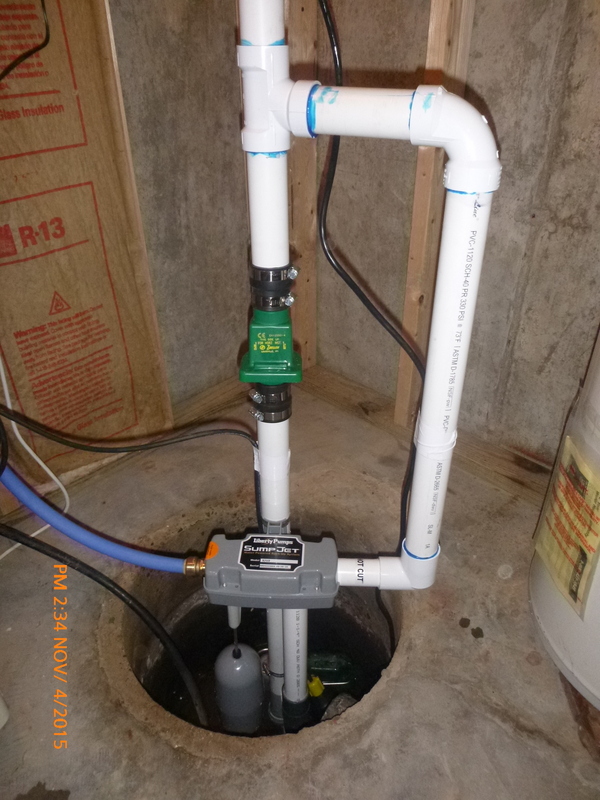 Finally, a very loud alarm was placed in the sump well should the water level rise above the backup pump float switch.